It was really hard to name this episode. 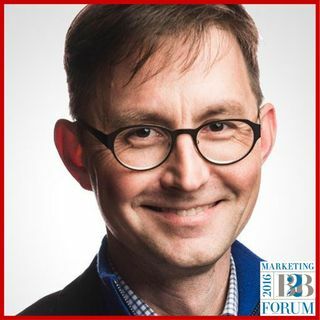 Andy Crestodina, Co-founder and Strategic Director of Orbit Media Studios, sat down with me at MarketingProfs’ B2B Forum to discuss just about every topic when it comes to digital marketing. We talk about the history of the Internet, his book Content Chemistry, how marketers should be using analytics, and many other topics. Andy also describes his experience keynoting Content Marketing World in September of 2016. I have a few favorite quotes from ... See More this podcast with Andy. One of them is “fear of public failure is a huge motivator.” When I think back to each stage of my journey into public presentations, I cannot think of a time that I was completely confident. There is always a comfort in the presentations you have given, but a fear of the next experiences as the audience gets bigger and the topics get deeper. Andy describes his experience of the change in audience size from 100s to 1000s at #CMWorld. At the core of this conversation is the need for analytics, not reports. “The real way to use analytics is a decision support tool.” I love this philosophy because many of us use our analytics and metrics of success and to get a gold star of achievement when we reach a number. In this episode, we both share examples of times we received some amazing numbers from traffic, but instead of improving our measurement, they added noise. If we look at the why behind the numbers, we will always find more areas of improvement and learn more about our audiences. This is definitely one of those shows I will listen to a few times to capture each area of the conversation we get to and I hope you do the same.